Set up is simple. 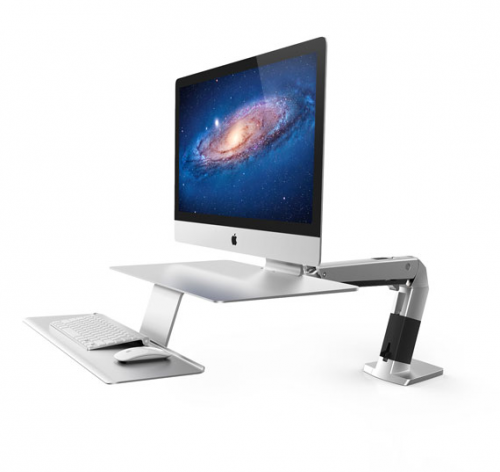 An iMac® base slips easily under the WorkFit’s worksurface, which discretely and securely holds it in place. No VESA adapter is required to mount and move your iMac where you want it.